Vermont has a progressive state income tax with a top marginal rate that ranks as the eighth highest in the country. The state charges a 6% sales tax with some cities charging an additional 1%. Vermont’s property tax rates rank among the highest in the U.S. Retired? Use our Retirement Income Tax Calculator. Vermont’s tax system consists of state personal income tax, an estate tax, state sales tax, local property tax, local sales taxes and a number of additional excise taxes on products like gasoline and cigarettes. For the 2018 tax year, the income tax has a top rate of 8.75%. This ranks as the eighth highest in the U.S. Meanwhile, total state and local sales taxes range from 6% to 7%. 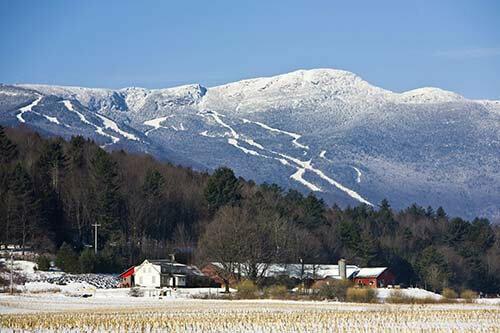 SmartAsset has gathered all of the relevant facts and figures about Vermont’s individual taxes. Read on to learn more about the Green Mountain State’s various taxes and how they impact Vermont taxpayers. Vermont has four tax brackets for the 2018 tax year. This is a change from previous years when there were five brackets. Rates range from 3.35% to 8.75%. That top rate is the eighth highest in the country. The table below shows rates and brackets for the four main filing statuses in Vermont. Those rates to not apply to your total income, rather to taxable income. Taxable income incorporates adjustments, deductions and exemptions so it is almost always lower (and sometimes much lower) than total income. To calculate taxable income in Vermont, begin with federal taxable income, which can be located on your Federal Form 1040. From there, you should add any income from interest on non-Vermont state and local debt obligations (e.g. New York City municipal bonds) and add back state and local income taxes (which can be deducted federally). Then, you can subtract any income from United States debt obligations (e.g. U.S. savings notes) and subtract the capital gains exclusion (see more in the capital gains section below). That gives you Vermont taxable income, from which you can calculate your state income tax using the rates in the table above. After calculating your income tax liability, you may be able to claim some credits to reduce your tax bill or increase your refund. 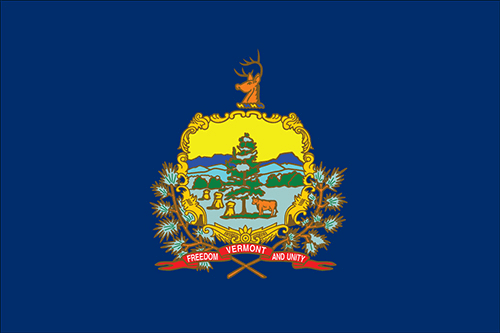 Credits available to individuals in Vermont include the Credit for Child & Dependent Care Expenses, the Credit for the Elderly and Disabled and the Earned Income Tax Credit (EITC). These are all based on federal credits. The first two are equal to 24% of the federal credit and the EITC is equal to 36% of the federal credit. Most capital gains in Vermont are subject to the personal income tax rates of 3.35% - 8.75% (described in further detail above). This includes all short-term gains, but long term-gains may be eligible for an exclusion. Specifically, taxpayers can claim an exclusion of up to $5,000 on their federal net adjusted capital gains. Certain types of long-term gains may be eligible for an alternate exclusion equal to 40% of the net adjusted capital gain on assets held at least three years. This exclusion cannot be claimed on residential real estate used as a taxpayer’s primary or non-primary home, depreciable personal property (except farm property or standing timber) or any publicly traded financial instruments (including stocks and bonds). Income from capital gains on other types of property (like commercial real estate) is eligible for this 40% exclusion after three years. The base general sales tax in Vermont is 6%. The sales tax applies to goods and some services in Vermont. Certain types of items are specifically exempted, as described below. In addition to that 6% state rate, a number of cities in Vermont collect their own 1% local option sales tax. The table below shows the state, local option and total sales tax rates for the Vermont cities that collect the additional tax. Any cities not shown do not collect the additional 1% tax, which means that taxable goods bought there will only be subject to the 6% state rate. The most important exemptions to these rates are for food (as long as it is intended for off-site consumption), prescription and some over-the-counter drugs, medical equipment (such as wheelchairs or oxygen equipment) and newspapers. Purchases of clothing are also untaxed, as Vermont is one of a handful of states to exempt clothing items from sales tax. Motor vehicles are subject to a 6% tax levied by the Vermont Department of Motor Vehicles and are therefore exempt from the local option rates above. Some products are subject to rates higher than those listed above. The state tax on hotels, motels and restaurant meals (the “Meals and Rooms Tax”) is 9%, plus an additional 1% local option meals and rooms tax collected by some cities. Alcohol is also subject to a higher sales tax, as described in the alcohol tax section below. Vermont’s property tax rates rank among the highest in the U.S. On average, Vermont homeowners pay more than $4,000 per year in property taxes. This is equal to 1.83% of their home value. That is the seventh-highest average effective property tax rate in the country. Note that property is assessed and tax rates are set at the municipal level in Vermont, so rates can vary from one city or town to the next. Considering buying a house in the Green Mountain state, or looking to refinance a property you already own? Take a look at our Vermont mortgage guide for details on rates and information about getting a mortgage in the state. While gasoline purchases in Vermont are not subject to sales tax, there is an excise tax on fuel in Vermont. The state tax on regular gasoline totals 31.79 cents per gallon, which is the 21st highest gas tax in the country. The state tax on diesel fuel is 32 cents per gallon, also the 21st highest in the nation. Taxes on alcoholic beverages in Vermont vary depending on the type of beverage. Vermont is a control state, which means that it controls the wholesale of liquor, which is sold through agency stores. The state therefore captures revenue by selling liquor, which functions as a de facto tax. It also taxes the agency stores based on their total revenue, with rates ranging from 5% to 25%. The Tax Foundation has estimated that these taxes, along with the revenue earned through the state liquor control system, are equivalent to an excise tax of $7.72 per gallon, which is the 18 highest rate in the nation. Beer and wine (which are not part of the control system) face two types of taxes in Vermont. The first is an alcohol sales tax of 10% (plus a 1% local option tax in some cities). The second is an excise tax. The excise tax on beer is 27 cents per gallon, slightly higher than the U.S. median. The excise tax on wine is 55 cents per gallon, lower than the U.S. median. The Vermont estate tax applies to gross estates with a value of $2.75 million or more. If the total value of the decedent’s in-state and out-of-state assets exceeds that amount, an estate tax return is required. Tax may not be required, however; for instance, property left to a surviving spouse is exempt. Marginal tax rates for estates above the $2.75 million cut-off range from 0.8% up to a top rate of 16% for estates over $10.04 million. Unlike many other state estate taxes, Vermont taxes the full value of estates, not just the value that exceeds the $2.75 million cutoff. So, for example, a taxable estate of $2,749,999 does not have to pay any tax at all, while a taxable estate of $2,500,001 has to pay taxes on the full value of the estate, over $150,000 total. Marginal tax rates for estates above that cut off increase by 0.8% for every additional $1 million in taxable value, up to a top rate of 16% for estates over $10.04 million. Multiple polls by Gallup, Inc. have rated Vermont as the least religious state in the U.S. The capital of Vermont is Montpelier, while the largest city is Burlington, with a population of about 42,000. Vermont’s state animal is the Morgan horse.